WeAreInnovation.org is a global think lab on innovation. What does it mean ? 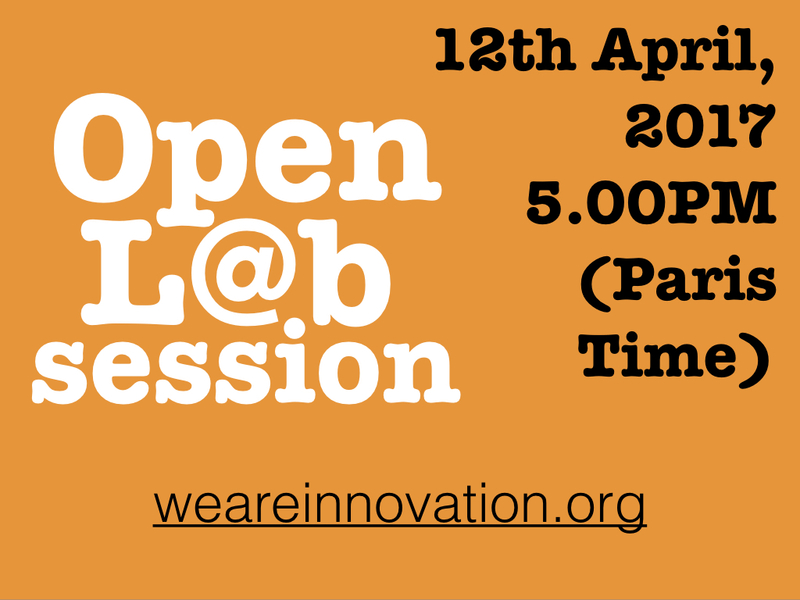 Join our Global Innovation Meeting to know more. Anytime, Anyone, Anywhere. We are on Facebook, LinkedIn, Google+, Twitter and Slideshare. Have you missed the first part of the meeting? Don’t worry. I have made some notes. Why we are innovation: there is a reason why we all share innovation news and trends. In fact, there are many of them. There probably are as many reasons as there are innovation practitioners. Our common denominators include passion for a better world, will to create more equality, and ability to open to others. To discover the rest, read our latest article here. Social Innovation: “A better world” sounds a little vague to me. So I investigate what you consider being “better”. You can read the current definition we built as a group here. The Big Picture: According to most of experts I read on a daily basis, we are now evolving in a complex innovation ecosystem. PESTLE is one of the tools you can use to read through that ecosystem. I have done a first series of PESTLE analyses for you, you can read the latest one here. Innovation Index: Measuring innovation impact is not easy. So many people are already doing it so well, with highly developed algorithms and datasets. They have the knowledge, I bring the discussion. You can have a look at the latest analysis on AI here. Market Roadmap: There are many roads we can follow with our innovative ideas. Specialists and experts are keen to expose their views on future technology. Bringing all these views together enables to better understand market dynamics and strategies within an ecosystem, rather than under a single viewpoint. You can read our latest analysis here. InnoTrends: The words we use help to understand our intention and feelings about a trend and a technology. InnoTrends carefully listens to semantics, meaning, images, style used to present innovation. They build a “human centered” picture of innovation. You can read our latest analysis here. Think L@b: Innovation is about having fun. Our communities are definitely sharing entertaining content. The ThinkL@b reflects our creative Global Innovation Meeting with a bit of stand back and sense of humor.